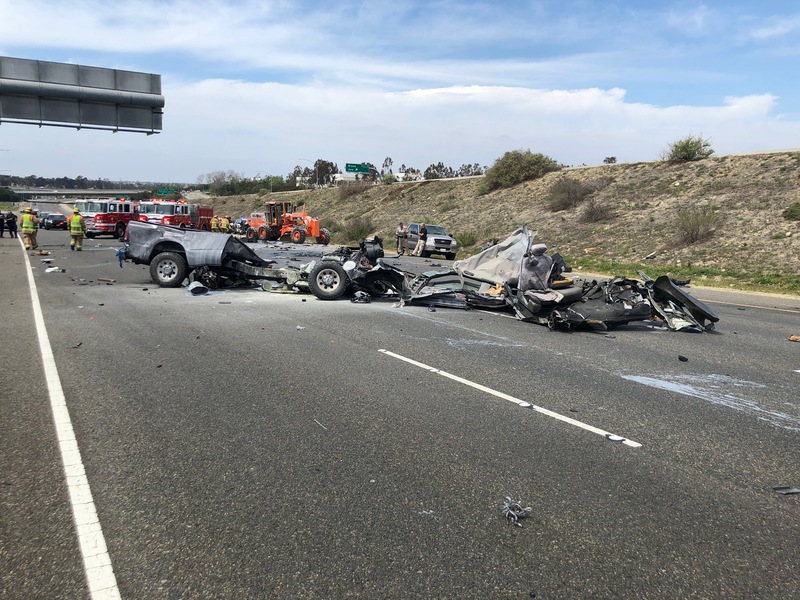 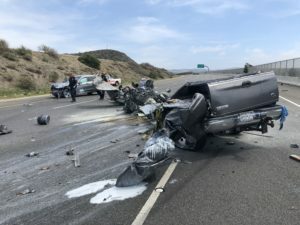 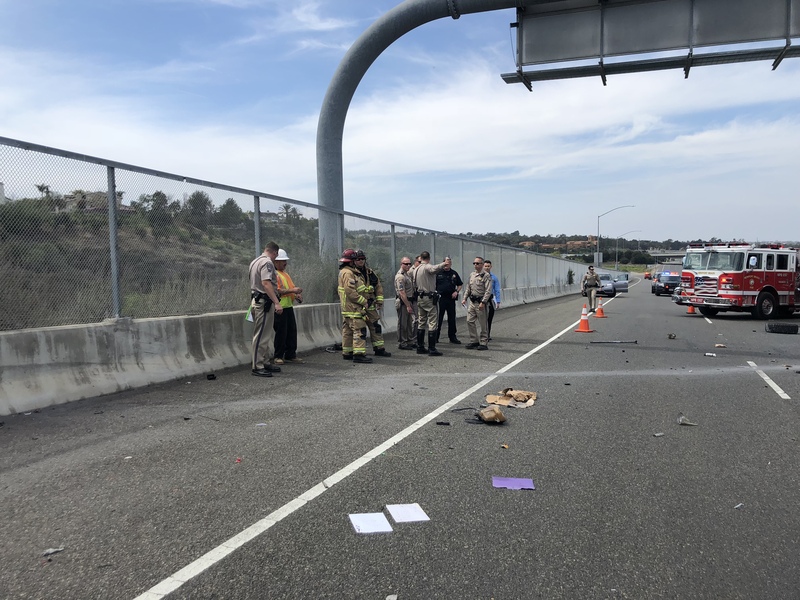 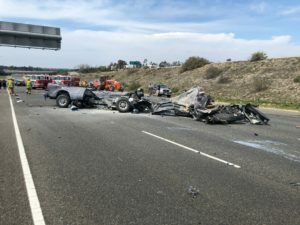 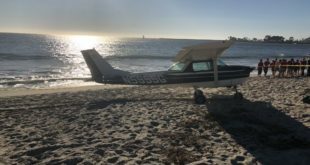 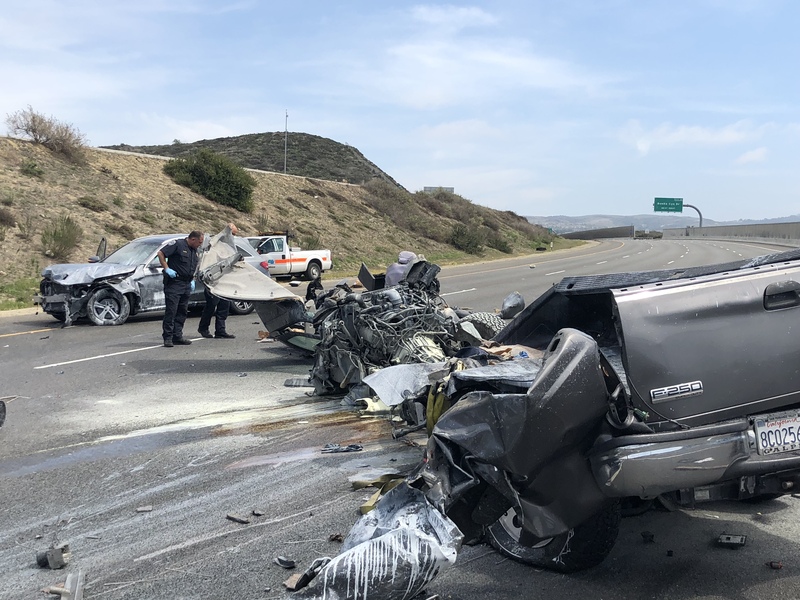 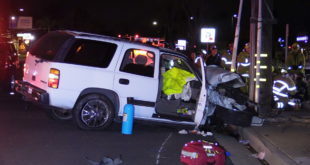 A high speed crash left the driver of a Ford F-250 pickup truck dead after his truck slammed into a CalTrans grader in the center divider of the southbound 73 Toll Road near Bonita Canyon in Newport Beach. 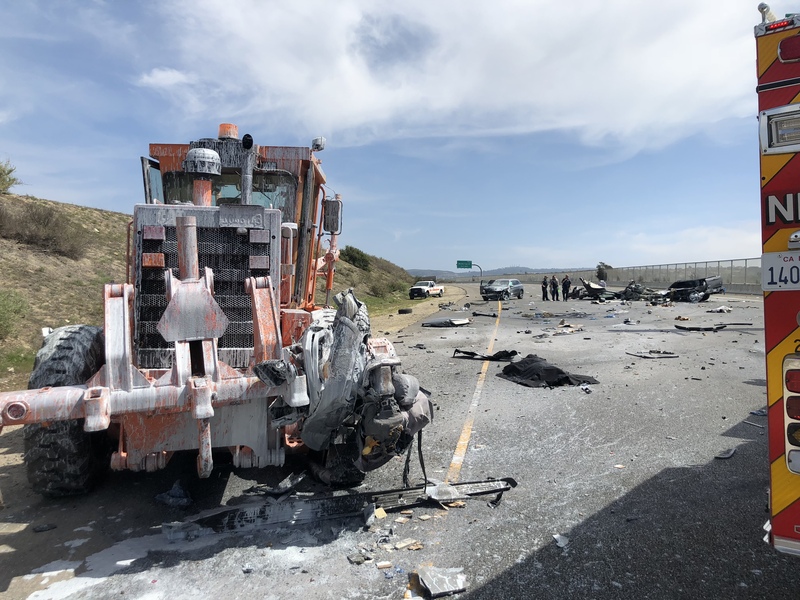 The impact was so severe that it left the truck almost unrecognizable and spread out over a long distance in hundreds of pieces. 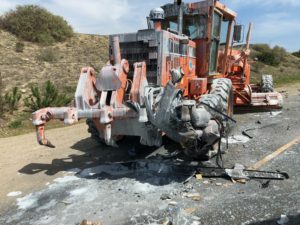 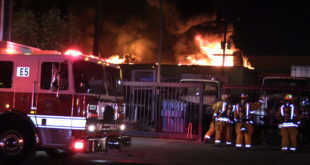 The CalTrans grader operator had just climbed out of the equipment moments before the crash. He was splattered with paint that was loaded in the back of the pickup truck but uninjured. All lanes of the southbound 73 are currently closed to traffic as the C.H.P. 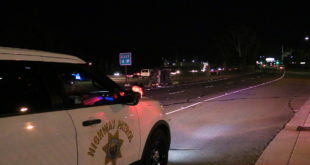 investigates the crash and crews clean up the significant debris.